Thanks to the New York City Council and a bill sponsored by Brooklyn’s Diana Reyna, the New York City Industrial Development Agency released data on 623 discretionary subsidy deals. The new report – which includes data as far back at the 1980’s – is trend-setting for being in excel (not just in PDF format) and for including all currently subsidized firms. Previous reports were only required to include project for a seven-year window. Previously, GJNY transcribed this data from PDF’s to create its “Database of Deals” and we will merge the two databases giving New Yorkers of all stripes: advocates, community organizers, elected and public officials, journalists and academics a unique tool that shines a light on how discretionary subsides are allocated. Combining new subsidy deals, extensive company-specific data in a downloadable, excel format makes what we believe, to be the country’s best local subsidy disclosure report. Though, as reported last month, New York State still has plenty of room for improvement. 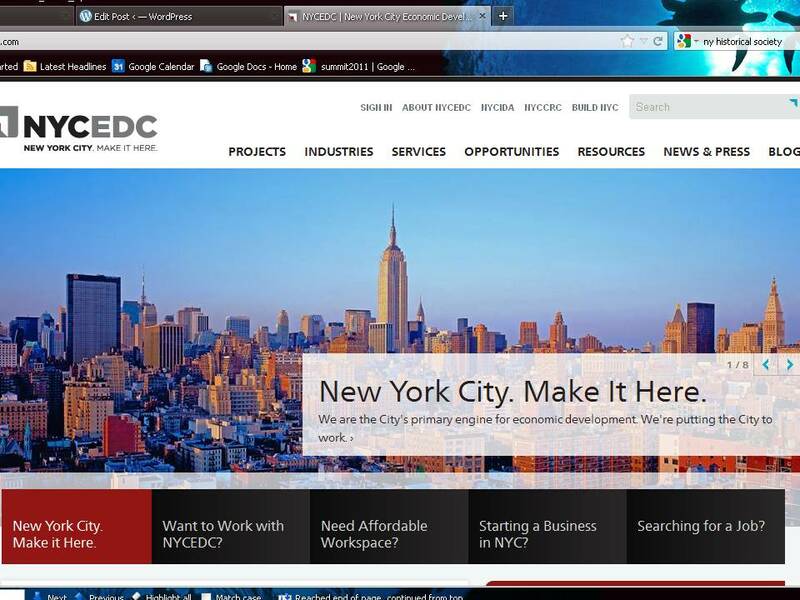 Good Jobs New York will be reviewing the data in the weeks ahead and will report back our findings. In the meantime, we encourage you to do the same! This entry was posted on February 1, 2012 at 4:23 pm and is filed under Clawbacks, Disclosure, Jobs, New York, Property Taxes, Sales Tax, Subsidies. You can follow any responses to this entry through the RSS 2.0 feed. You can leave a response, or trackback from your own site.